Ryan ‘Stewart’ Davies reckons Rob Hunt is his ticket to glory as the two get set to clash in a title tussle on Friday. They will slug it out for the eight-round British Challenge welterweight title at the Kings Hall in Stoke-on-Trent on Friday, 13th July. 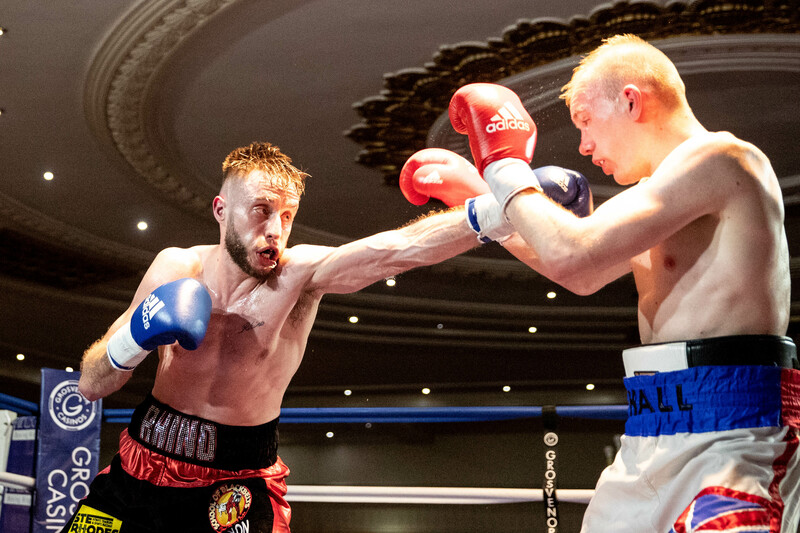 It will serve as the main event of Errol Johnson’s Black Country Boxing Promotions offering, sponsored by Grosvenor Casino Stoke who host the weigh-in at 1.00pm tomorrow (Thursday). Davies, aged 25, will slug it out for a strap he won in April, outpointing MJ Hall. He’s racked up five wins from five bouts as a boxer, all over-the-distance. The former kickboxer, from Tividale in the Black Country remains involved in his former calling, too, and still works as an instructor at Oldbury’s School of Black Belts. He’s registered for the sweet science ‘Stewart Davies’, using his middle name as his first name as there’s another Ryan Davies in the paid ranks. His next test is former Midlands champion Hunt, from Stafford, a 12-year pro who started in kickboxing himself. The 32-year-old will box for the 32nd time, looking for a 25th win. He’s been beaten five times and has drawn twice. Davies reckons the winner of the contest between them will go on to box for the Midlands welterweight crown Hunt held in 2015. ‘Rhino’ is determined that will be him as he’s fast-tracked towards titles, with Hunt in make-or-break territory for his own ambitions. Davies said: “I was in the gym training one morning when Errol told me ‘I’ve got you a title fight in July, it’s against Rob Hunt.’ I took it there and then. “I’d heard of him, but I didn’t know that much about his career. I looked down his record and it’s a long one, with some good opponents and belts in there. “I want to move quickly in boxing and this is the perfect opportunity to do that. Hunt got a ton on experience and would be a good scalp for me. “I’ve watched a lot of Hunt on YouTube, I know what he’s going to bring to the table and I’ve got my game-plan together. “I think work rate will be key between us, I’ve got to get around that good jab of his and in close where I can do the most damage. Tickets, priced at £35 standard and £60 VIP ringside, are on sale now and can be purchased by calling Ryan on 07904 180 204. Alternatively, contact any of the boxers on Facebook.